Sometimes a brush, pencil, or stylus is just not enough to satisfy the creative spirit in me. 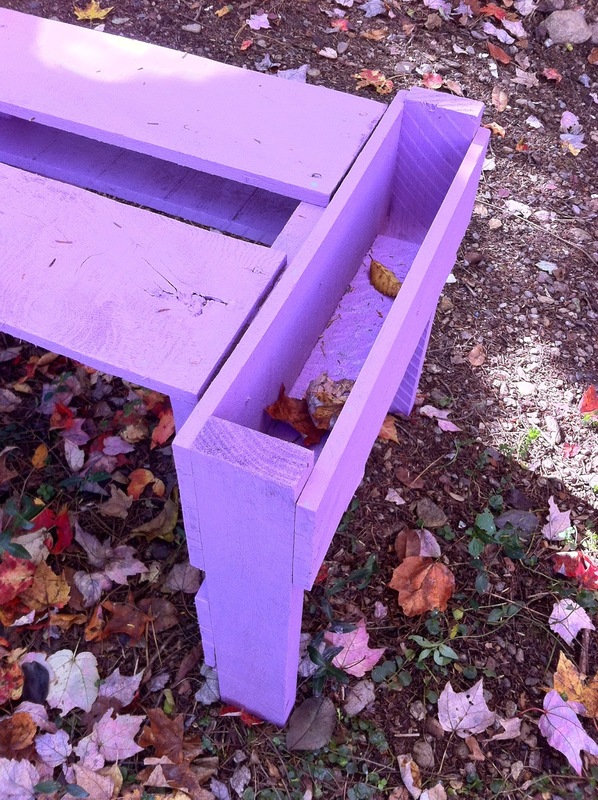 Last weekend, all chores were set aside, as I surrendered to spontaneous three-dimensional thinking and a little playful tinkering with jigsaw, electric drill, a box of screws, leftover paint, and castoff wooden pallets. 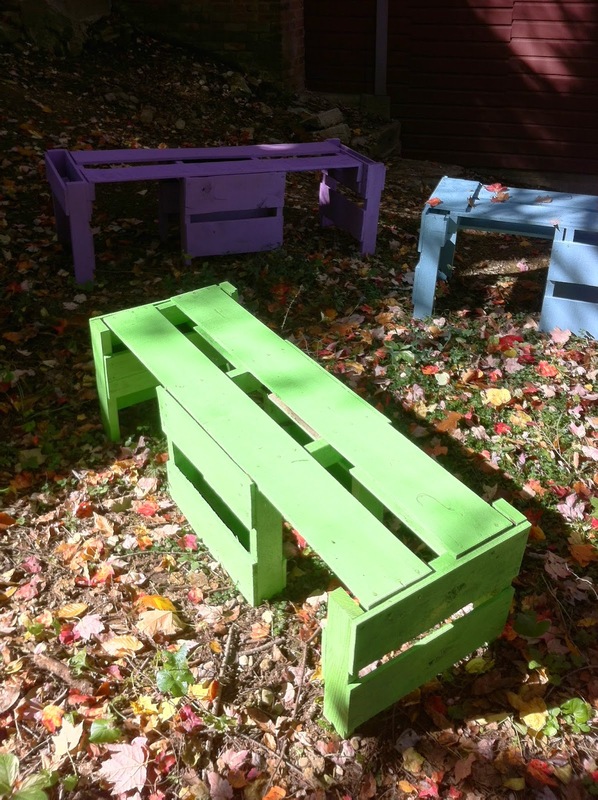 Three cheerful garden benches were the result. I'm thinking they'll look nice in the snow. And even better over the years, as each year the rough surfaces are painted a new color, the old color peeking through to tease the eye. This one has a built-in trug. All are just plain comfortable. Let me know if you want one. . .